"On the 19th of October 2022 the world changed forever. No one knew who had launched first. No one knew why they fell on remote areas. Ohio and not New York, L.A. and not Paris, Yorkshire and not London. No one realized the bio plants were being targeted. All the beauty of the northern hemisphere gone. Radiation from the nuclear fallout spawned a bacteria that spread south killing everything. As war came and went in the south and society broke down, the spur of humanity struggled to rise again." Civilization has crumbled. All the children in the world are dead. The future doesn’t exist. The apocalypse has happened and only a few have survived. Radiation and mutant bacteria are threatening total extinction of humanity as we know it. One little girl survivor, could change that. Jake Slater (Jake Ryan) is ready to take on the world to protect his child Molly (Billie Rutherford). The world is fighting back to take the last child on earth. Post-apocalyptic futures have been the setting of many budgeted movies over the years. Blue World Order brings something I generally despise in budgeted CGI to the concept. The result is actually a beautiful dystopia. A nice cast compliments the visuals including veteran actors Billy Zane and Mad Max alumni Bruce Spence. Leading man Jake Ryan fits his role well while BWO leader Zane gives one of his most lively performances having a lot of fun in his familiar bad guy role. First time feature writer/director duo Dallas Bland and Ché Baker "take the cleaver and strike the object" bringing Bland’s 2012 short to the big screen in feature form. The duo impresses with their visuals. I’m generally not a fan of using colors that veer from reality to set the mood of a film but in Blue World Order it works well. The directing duo also gets fun performances from some reliable actors who don’t always stand out in their roles. The elongated short film script does get a little erratic and unfocused at times with some illogical actions starting with the opening parkour through the trees which could only be explained as being a nice visual. 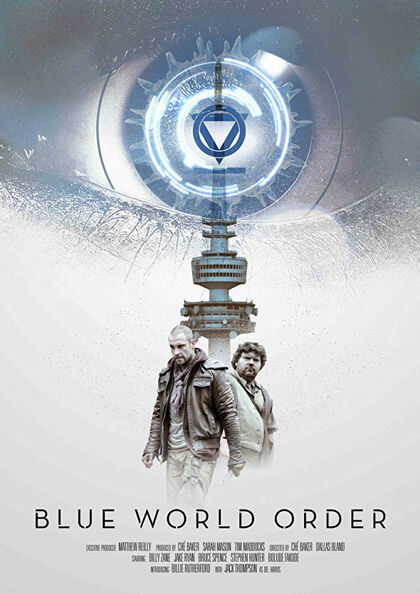 Overall a good first effort from the young directors, in a genre of futuristic, post-apocalyptic, sci-fi, thriller film that I’m generally not a fan of.